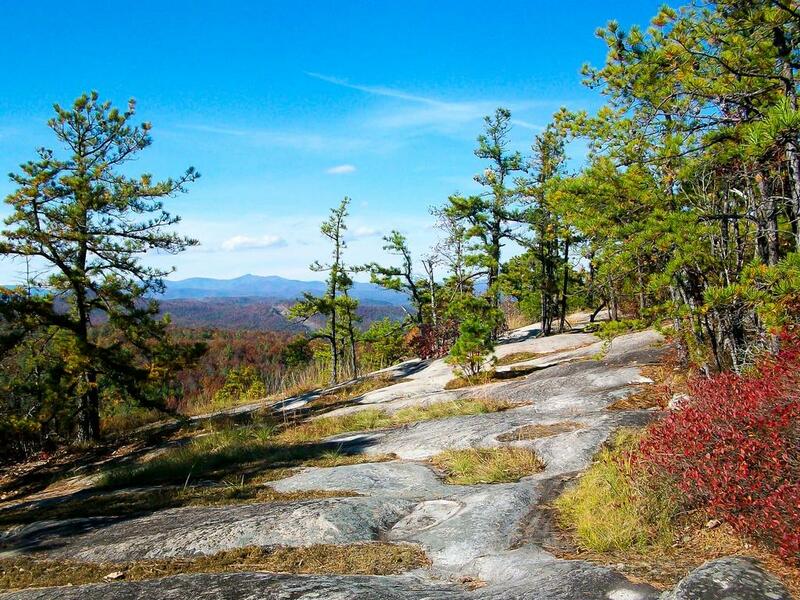 The mountainous western part of North Carolina is a haven for outdoor recreation enthusiasts. Some of the highest peaks in the East, surrounded by vast areas of public land and miles and miles of trails, invite mountain bikers to visit from all over the world. But even locals looking for a quick, easy ride find the area irresistible. Current inspiration: view of Pisgah from Big Rock. MTB WNC is your on-line mountain biking guide for the Mountain region of North Carolina, containing all of the information you need to make your next trip complete. We aim to provide guidebook-quality information that you can use in your outdoor persuits. Have fun browsing and riding! 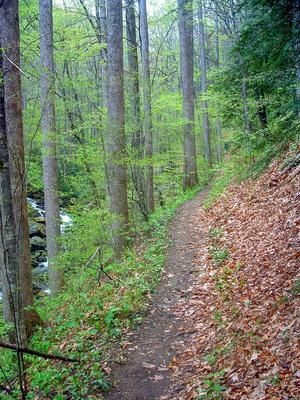 The Trails section is dedicated to the individual trails in Western North Carolina. Use this section to search for a trail if you know its name. Each trail has its own page with all the details, a map (where available), and a place to leave ratings and comments. 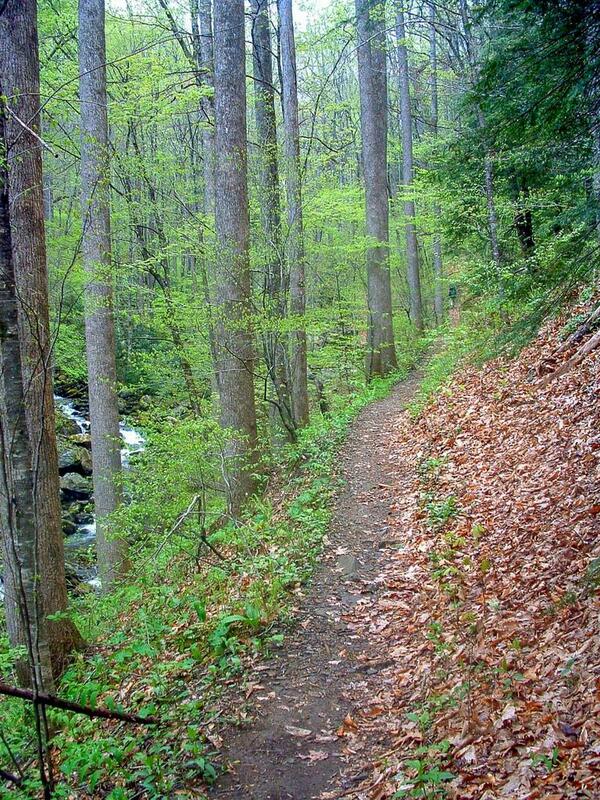 MTB WNC's Trailheads are hubs or larger areas where several trails are clustered together or in a network. Each represents a place where you can spend a day or more exploring mountain biking trails without driving too far (or at all!). The Best Rides combine the individual trails from the Trailheads above into a fully guided experience. We feel like these trips are most representative of the great mountain biking that Western North Carolina has to offer! This section covers all of the maps we have available for you to view, download, and purchase, including maps of the Trailheads and Best Rides above, and interactive Google Maps with downloadable GPS data. Browse through photos of the trails, views, waterfalls, and mountains in the region. Links to these galleries are provided from Trailheads and Rides as well. Get general area information to round out your trip, including things to consider when planning a ride, information about places to stay and bike shops, and ways to get involved in the area's mountain biking community. Current Inspiration: How about a ride on the Daniel Ridge trail. As of April 15th, seasonal trails are closed to bikes. The seasonal designation allows more popular trails to be open to bikes during the off-season months.